On 28th of October thousands of people from across the world joined the Climathon challenge to help create a cleaner environment and a greener future. In 24 intensive hours, teams in 59 cities, located in 36 countries across 6 continents, were looking for innovative solutions to ecological problems their community is facing. Topics ranged from urban planning and infrastructure to waste removal and water management. Tallinn focused on bikes and solutions that would encourage cycling in the city to limit the number of cars in local traffic and promote the healthy lifestyle of biking. As the initial pitches demonstrated, there are many angles to tackle this issue from. 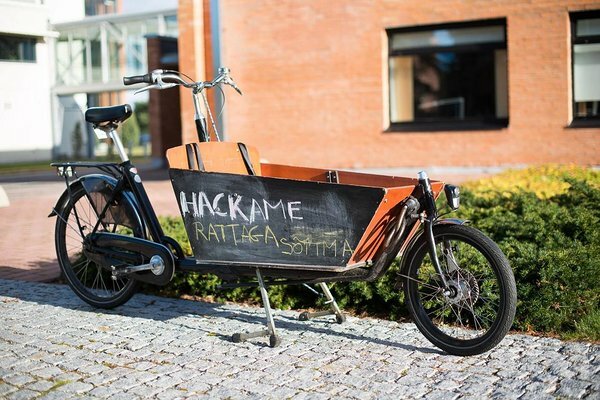 Among the 11 ideas were data gathering platforms, communication apps, awareness and funding programs, bike rentals and even an idea for an affordable detachable bike that could be carried around like a backpack. Bicycle goes hand in hand with some of the basic human needs and becomes a weapon in transforming the urban space into a more human friendly environment. All these ideas are definitely noteworthy but as in every hackathon, some teams demonstrate more potential than others. That is why the first place in Tallinn Climathon went to a team called Smycling who wants to make cycling smart. Smycling is creating a platform where cyclers can customize their journey and find the best routes depending on the nature of their cycling trip. One of the organizers of Tallinn Climathon and a member of the jury board, Marit Sall said that judges appreciated the confidence of the team and that they had no doubt Smycling would actually be able to bring their initiative to life if they really put their minds to it. Smycling’s choice to try and fix a very obvious and pressing problem for the local cycling community also spoke in their favour. The second place went to Bike Button for coming up with a simple location recording button that could be attached to a bike. Another member of the jury board and a local cycling guru, Tõnis Savi added that the idea is so stupid, it’s fun. While the solution itself is simple, it allows a variety of use cases which makes the Bike Button almost genius. The third place team, Awareness Project, took on a whole new field of promoting bicycle usage with the help of stationary bikes that demonstrate effectively the benefits of biking. While the judges found the idea a bit raw and still in its very early stage, it also has the potential to really make some noise in the society and convert more people into actually choosing the bike for their next commute. To encourage the winning teams to keep on working with their ideas, Smycling and Bike Button were added straight to Prototron’s top 40 accelerator program. In addition, Smycling was awarded with a spot among Ajujaht’s top 100 in the upcoming competition. 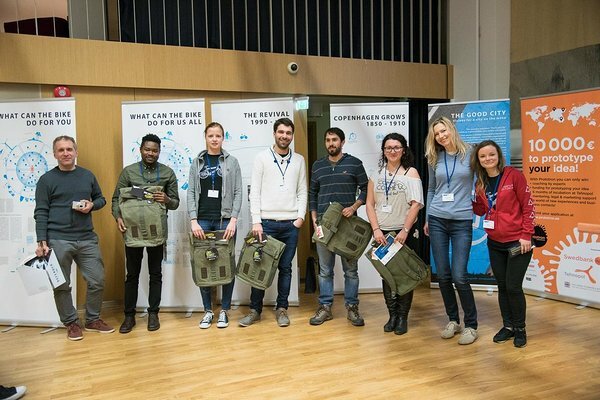 Climathon in Tallinn took place thanks to the initiative of the international Climate-KIC program which encourages entrepreneurial minded people to see climate change as an opportunity to create sustainable solutions in the form of startups with a real economic and ecological impact. Most successful ideas get access to the annual international cleantech business idea competition ClimateLaunchpad and Climate-KIC’s business accelerator. Bike Button from this year’s Climathon was accepted to the latter. 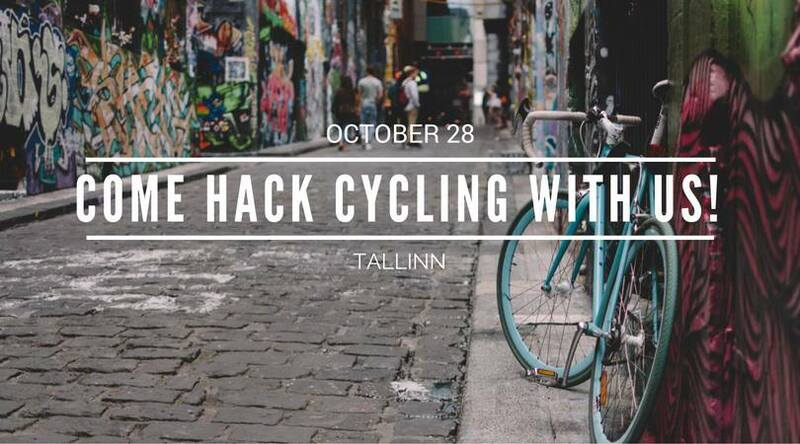 Read more about Climathon HERE , and see the gallery of the cycling hack in Tallinn HERE. 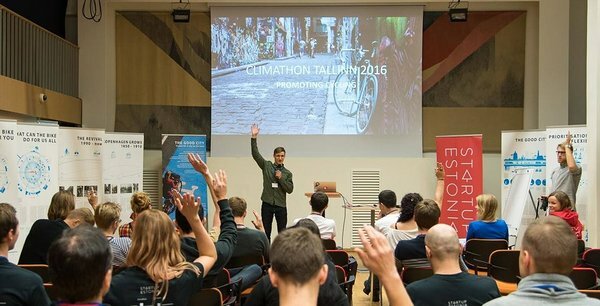 The local organizers and sponsors of Climathon include Startup Estonia, Tallinn City, Estonian Ministry of the Interior, Netherlands Embassy in Tallinn, Estonian Urban Cyclists Union, Startup Day 2016, Sportland, Prototron, TUT Student House and GreenTech Club.